EDINBURG — With eight registered speakers, about 30 attendees and room left for dozens more, the Texas Education Agency conducted a short public hearing here at the headquarters of Region One Education Service Center, where stakeholders weighed in on the recently released draft of its corrective plan for the state’s special education system. The most recent draft, referred to as the Special Education Strategic Plan, was released on March 19 and ahead of a April 23 deadline to be submitted to the U.S. Department of Education, Office of Special Education Programs. The short timeframe is leaving many to wonder whether the schedule is giving stakeholders enough time to digest the draft to comment on it, as well as for the agency to put some of the raised concerns to rest. 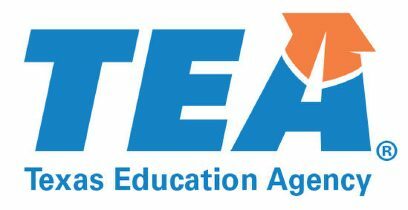 This is the second draft released by TEA as a result of a federal investigation that found the state failed to educate thousands of students by not identifying disabilities in order to keep their numbers low. Public education institutions, such as public and charter school districts, were incentivized for keeping their numbers below a certain threshold. The latest 42-page draft specifies the ways in which the state agency plans to correct this wrong, which includes a focus on identification and evaluation of children with disabilities both inside and outside the public school system. It also includes a monitoring system that focuses on student improvement rather than meeting minimum expectations, training, support and development of teachers and staff in addition to student, family and community engagement through outreach campaigns and support call centers and portals, and the creation of technical assistance networks and structures to create best practices. At Thursday’s meeting, speakers from the Rio Grande Valley area shared a similar concern: funding. They wondered how TEA plans to implement these changes and alter the already-pervasive culture of public educators underserving these students without giving public education institutions additional funds for training, staffing and other resources. The cost of identifying students who might require special education and evaluating them has historically been the sole responsibility of the school districts and will continue to be, the draft states, even as they will be required to identify students who might have left the district and are in need of evaluation. The overall budget allocated for the plan is of $211,282,000 for the upcoming five years out, of which $65 million would be allocated for compensatory services, which aims to identify students who are in need of services and have left the public school system or aged-out. But this funding is part of the already allocated state and federal funds for education, and those who testified expressed concern over public education providers not receiving additional funding in general, considering they have heard many times of short-staffing in school’s special education departments. And when it comes to additional compensatory funds, they asked for clarification as to whether these funds ware just being reallocated from the general special education funding or if these are purely additional. Roy Ballesteros, advocate with Disability Rights Texas, echoed this concern stating that funding at a state level for special education has been neglected, and if success is expected the state agency must allocate specific funding for the corrective plan. Other concerns included taking areas such as the Rio Grande Valley into consideration when planning corrective measures, including the need for bilingual notification and overall support for parents and students; most importantly for students who might require compensatory services and overall support through hubs. “How will the parents find out of the availability of these services, but in particular Spanish-speaking parents whose children no longer attend the public school setting,” questioned Evelyn Cano, parent advocate with Capable Kids Foundation. Those who couldn’t attend the hearings are also encouraged to send their comments to TEA online by emailing TexasSPED@tea.texas.gov. The feedback provided in person during these hearings, which was recorded by the agency, and any written comments will be considered before the final draft is submitted to the U.S. Department of Education. The deadline to submit comments is April 18.